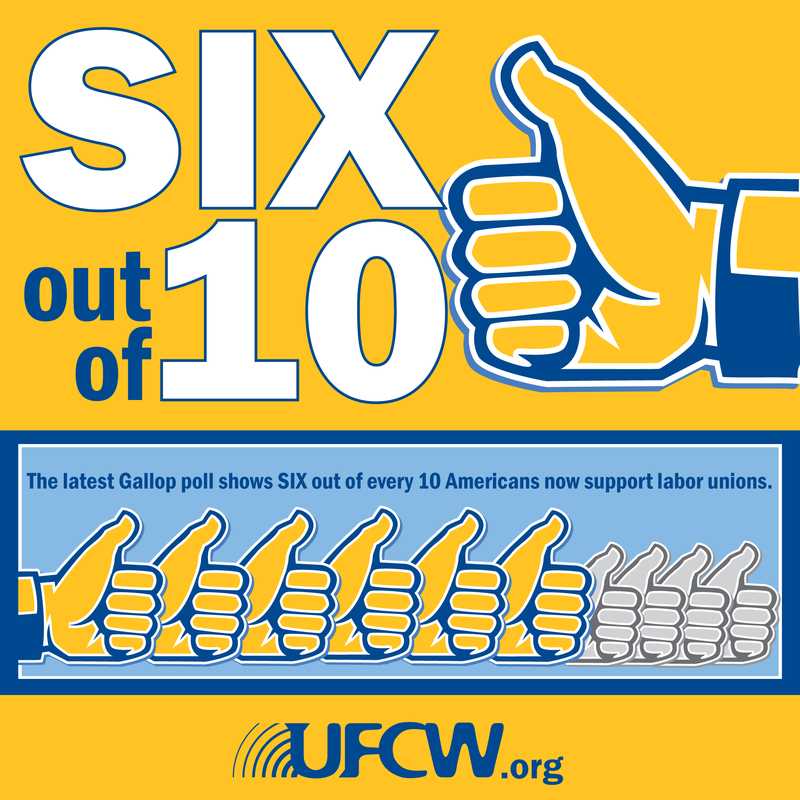 A recent Gallup Poll shows that six out of every 10 Americans now support labor unions — a phenomenal five point jump above the previous year. 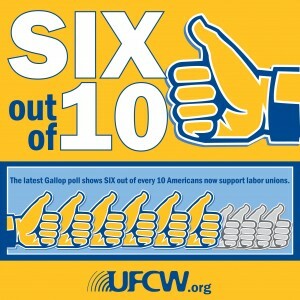 Overall, Gallup found that support for labor unions is now at an impressive 58%, the highest it has been since 2008. 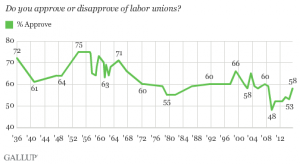 The latest results from the 2015 installment of Gallup’s annual Work and Education survey show that Americans’ approval of labor unions has jumped five percentage points to 58% over the past year, and is now at its highest point since 2008, when 59% approved. 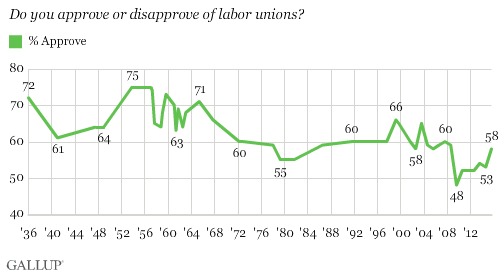 Consistent with the recent increase in approval of unions, the percentage of Americans saying they would like labor unions to have more influence in the country has also been rising, and now stands at 37%, up from 25% in 2009. Meanwhile, the percentage wanting unions to have less influence has declined from 42% to 35%.